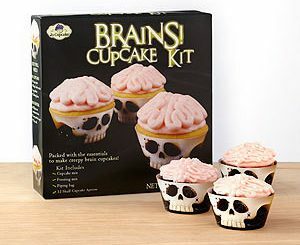 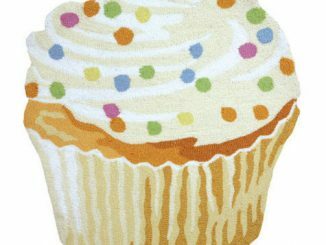 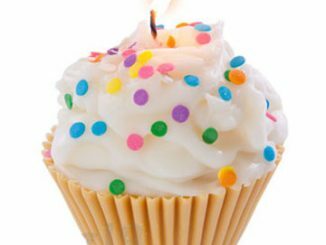 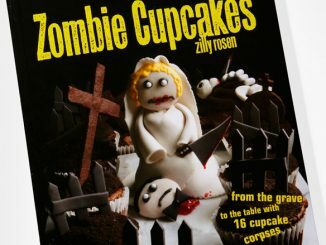 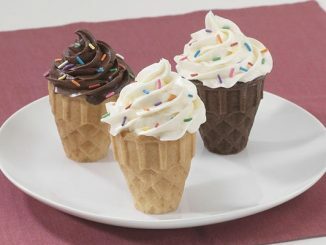 The kit includes four styles of cupcake toppers. 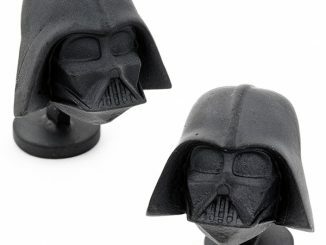 You get Darth Vader, Boba Fett and two Imperial Stormtroopers. 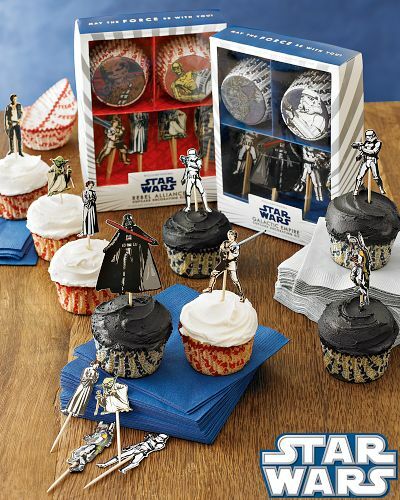 You also get Darth Vader and Stormtrooper paper liners that are made of grease-proof paper and soy ink. 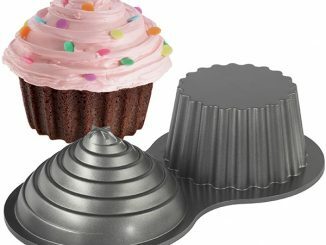 The Empire is all set to protect your cupcakes. 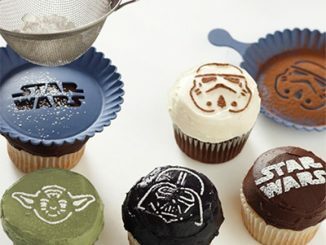 And we all know that sweets are better when they involve Star Wars. 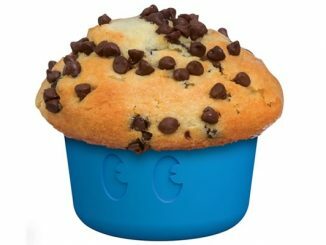 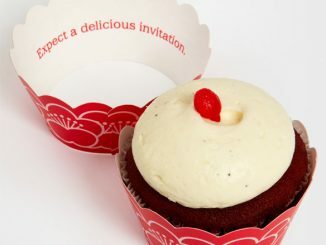 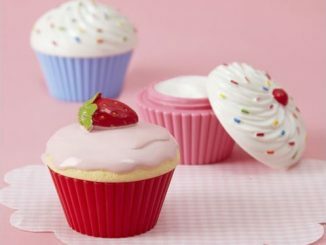 Spice up your next cupcake party with this set for just $12.00 from Williams-Sonoma. 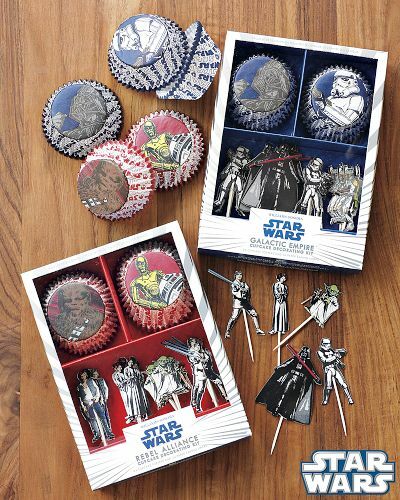 They also have a Rebel Alliance kit as well, but bad guys are just more fun.